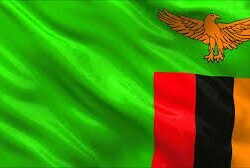 THE two basketball teams representing Zambia at this year’s Lakers international invitational tournament in Zimbabwe on Friday stormed the semi- finals of the competition and were pitted against each other in what the Zambian contingent has described as a surprising development. Matero Magic basketball team and their counterparts Unza Pacers were last night pitted against each other in the semi-final after dispatching their respective opponents in the opening three matches to avoid an all-Zambia affair in the finals. Matero Magic had a flying start in the competition with an impressive 49-32 win over Oilers before their opponents in the second match grew cold feet and never showed up for the game, thereby gifting the Zambian team free points. The “Magic” team the thrashed Hustlers 39-33 to set up a date with their Zambian counterparts in the semi-finals played at 20:00 last night after UNZA Pacers also proved to be too much for their opponents with their impressive displays. However, the Zambian teams are not impressed with the decision by tournament organisers to pit ten two teams together when an ideal situation should have been to split them since they come from the same country. Matero Magic basketball club chairperson Sydney Kalema said he was impressed with the display of the two teams from Zambia but wondered how the organisers from Zimbabwe could pair two teams from the same country in the semi-final. Kalema said under normal circumstances, the two Zambian teams should not have paired together unless in ten finals where the organisers had no option but to let them play even though they were from the same country. “The reason why they decided that we play UNZA Pacers yesterday was that they are scared that the two Zambian teams would have been in the finals together thereby making it a Zambian affair while reducing their teams to mere spectators. They looked at the strength of the two teams and they realised we were unstoppable and would have all qualified to the finals and decided that we eliminate each other so that at least one Zimbabwean team can be in the finals,” Kalema said.